Many sodas and soft drinks are sweetened with sugars. Soft drinks are among the most popular beverages in America. In 2006, the New York Times reported that soda sales totaled more than 10 billion cases a year. Many sodas are sweetened with sucrose or high-fructose corn syrup, both of which contain glucose. Historically, sucrose was added to most sodas and soft drinks, but it was supplanted by high-fructose corn syrup (HCFS) in the 1970s and 80s. HCFS is the most common sweetener in sodas and soft drinks today. Sucrose is a disaccharide formed by a union of two simple sugars, glucose and fructose. Your digestive system splits the glucose and fructose, so when you consume sucrose you are in effect consuming glucose. HCFS, by contrast, is typically 55 percent fructose and 45 percent glucose. Sodas or soft drinks that are sweetened with sucrose, dextrose or HCFS contain glucose; diet sodas made with artificial sweeteners like aspartame, however, do not contain glucose. Many researchers and public health officials have expressed concern that the popularity of sweetened beverages is contributing to the country&#039;s rising obesity levels. According to the American Journal of Clinical Nutrition, 16 percent of the population is consuming as 25 percent or more of daily energy requirements in the form of sugared soft drinks. If you want to reduce your sugar intake, try choosing diet beverages or beverages flavored with artificial sweeteners rather than sugared drinks. However, as noted in a 2009 study in Diabetes Care, there is some evidence that these artificial sweeteners may still alter glucose metabolism by increasing the rate of glucose uptake in the intestine. 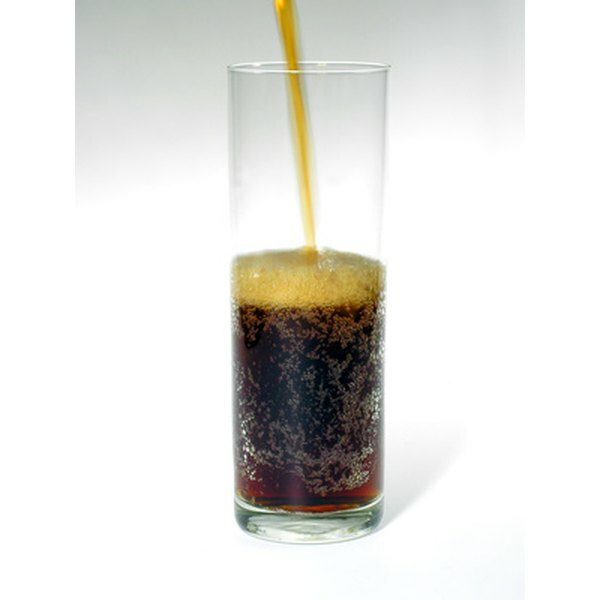 "Diabetes Care"; Ingestion of Diet Soda before a Glucose Load; Brown, Walter et al; 2009. "New York Times"; Soda Sales Fall for the First Time in 20 Years; Warner, Melanie; 2006. "American Journal of Clinical Nutrition"; 24 hour endocrine and metabolic profiles; Stanhope, Griffen et al; 2008.